When the weather permits, famers markets are one of the best ways to pass time on any given Saturday. Not only this, but you get to go out, support your local farms, and buy some of the freshest produce around. Check out Wisconsin’s 10 best farmers markets. The Dane County Farmers Market is one of the largest in the state held in Madison. Not only is it held in Madison, but the DCFM wraps right around the capitol square. 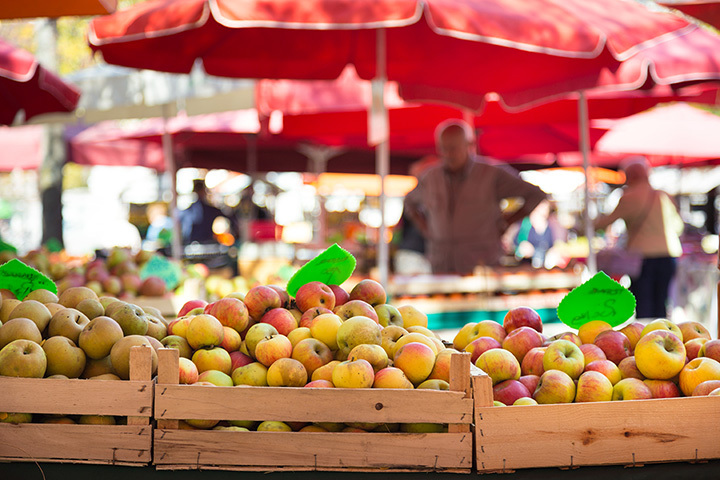 The farmer’s market is held Saturdays from 6:15 a.m.-1:45 p.m. dates beginning in April. Starting early in June and running until late October in downtown Oshkosh lies one of America’s best farmers markets, according to The Daily Meal. In peak season, there are around 140 vendors. Live music and holiday-themed events are sure to entertain the whole family. The Eau Claire Farmers Market is located on River Front Terrance. Their website conveniently gives the public a harvest schedule of which produce is in season and when. Participating vendors and their produce are noted online as well. Saturdays located on College Ave. from 8:00 a.m. to 12:30 p.m. is the Appleton Farmers Market. This farmers market is all year round—taking the fun inside between the months of November and May. One hundred and fifty vendors sell a variety of items from foods to handcrafted items. Located about 13 miles west of Milwaukee is the Brookfield Farmers Market. Established in 1991 the Brookfield Farmers Market opens in early May. Residents can find comfort in knowing that most vendors have been growing and selling at the Brookfield Farmers Market for over 10 years. Viroqua Farmers Market is a small 40-50 vendor indoor market. Since the public market is indoors, it is open year-round. Find the charm of small town Viroqua and check out their handmade goods and fresh produce. Unlike most of the farmers markets on this list, the Farmers Market on Broadway located in Green Bay is held on Wednesdays. Enjoy live music and great food because these vendor shops are perfect for an eventful Wednesday evening. The Downtown Middleton Farmers Market is held in front of the Capital Brewery. On Tuesdays from 2:30 p.m. to 6:30 p.m. the Middleton Farmers Market vendors sell famous Bloody Mary mixes, oils, and fresh produce. Get there early! The market brings quite a gathering. Every Friday starting in late May to mid-October is the Minocqua Farmers Market held at the Minocqua Park Complex. Starting at 8:00 a.m. and running until 1:00 p.m. shoppers are able to purchase fresh fruits, vegetables, jellies and jams, meats, and crafts from local vendors. Beloit is located near the Wisconsin/Illinois border. Their farmers market brings in residents from both Midwestern states for over 50 years. With just under 100 vendors and live music this Saturday tradition is the perfect way to support local farmers. View more Wisconsin Farmers Markets.